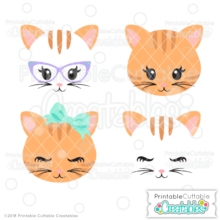 ***As always, this design is perfect for paper crafting, and now also includes a vinyl-ready version that is easy to cut and layer with adhesive vinyl or HTV! My popular free unicorn eyelashes face SVG Cut File is back, and this time, she’s ready to graduate after a magical year of hard work! 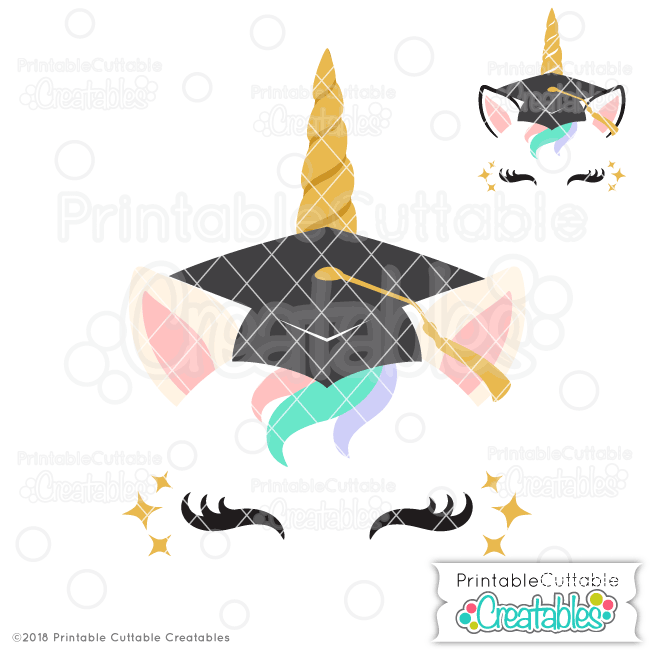 This Graduation Cap Unicorn Face Free SVG File features a pretty unicorn face wearing a graduation cap and gold sparkles next to her eyelashes. 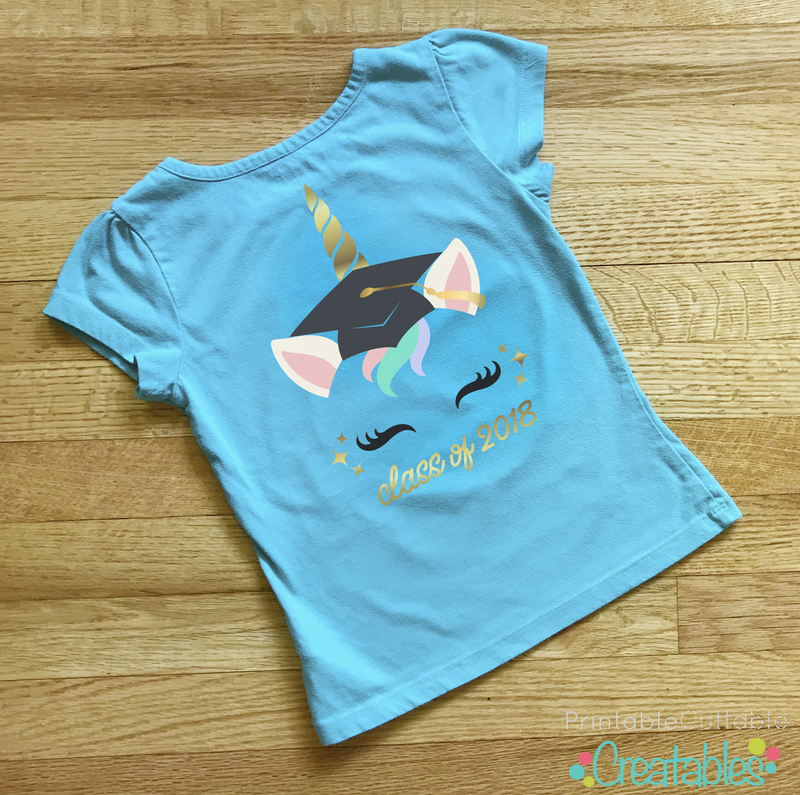 This Graduation Cap Unicorn Face Free SVG File design includes DXF & SVG files separated by layers, perfect for handmade Graduation cards, scrapbooks, graduation party backdrops, layering vinyl and HTV on t-shirts, totes, graduation caps, coffee mugs, and more! Also included are assembled Graduation Cap Unicorn Face Free SVG File, with all layers fully assembled and ready for Print & Cut or Cut by Color with no tracing needed for Silhouette Studio Designer Edition, Cricut Design Space, Make the Cut, ScanNCut, Pazzles Inspiration Vue, or other cutting machine software that supports a Print and Cut feature! 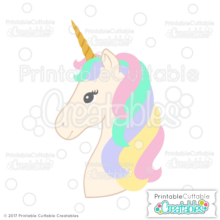 As always, this free Unicorn SVG design is perfect for paper crafting, and now also includes a vinyl-ready version that is easy to cut and layer with adhesive vinyl or HTV! 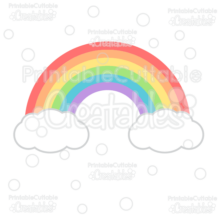 You’ll also receive 2 high resolution 300dpi PNG Graduation Cap Unicorn Face Free Clipart Files with transparent backgrounds, ideal for printable planner stickers, printable invitations, Graduation party decorations, gift tags, banners, labels, and other handmade crafts! The Graduation Cap Unicorn Face Free SVG File also makes a great vector design element for web and graphic design projects and is compatible with Adobe Illustrator, CorelDraw, Affinity Designer, Inkscape, and other vector programs that open SVG files.